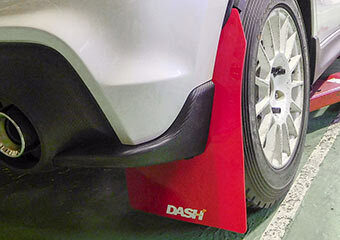 Mud Flap protects vehicle under chassis and body during non-paved street driving and dirt trial races. Carbing use durable and light weight 3mm thick Red colored urethane material. It is prefabricated to fit specific models.